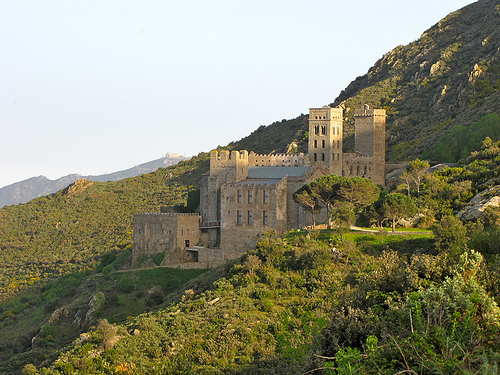 Monastery of Sant Pere de Rodes, of uncertain origin, stands in all its majesty in Port de la Selva village, on the rocky slope of the Albera Mountains, at 517 mts, facing the sea. From the upper structures of the seventeenth century buildings you can enjoy stunning views of the north of Cap de Creus. 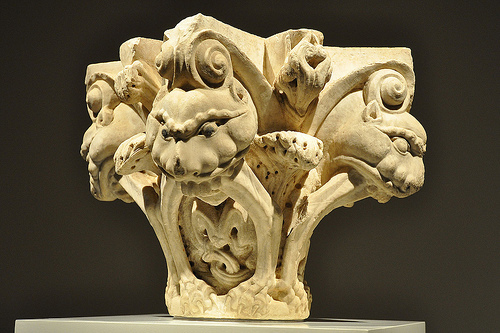 The first document news we have from Monastery of Sant Pere de Roda come from ninth century. At that time it was just a monastic cell (something like a small chapel), although it is true that at the base of the building are still older foundations, probably Roman or early Christian. This cell was dependent on Sant Esteve de Banyoles church until finally gained independence in the year 947. The first abbot was Hildesind, son of a nobleman named Tasi. 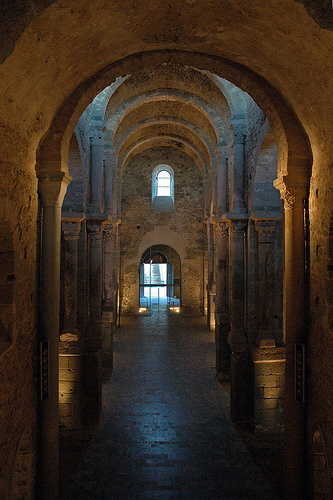 In 1022 it was consecrated as a basilica. 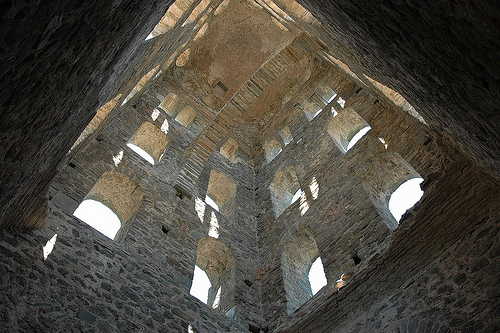 The most meritorious architectural part of the monastery was built from 1100. 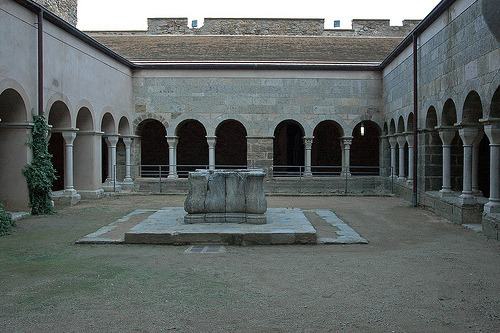 They erected a cover, the cloister and later another new portal, made by Mestre of Cabestany, some parts of which are preserved in the Museum of Peralada and Museum Marés of Barcelona. In any case the religious life in the monastery was very active until the end of the fourteenth century. The Black Death pandemic (which killed 24 monks), lack of donations and the fear of piracy (forcing to fortify the site) led the community to a decline, exacerbated by different expolios mainly due to armed conflicts. Thus, in 1693, the French plunder the Rodes Bible, which is kept in the National Library of France. The monastery consists of three naves, the lateral rather narrow, with three apses and a cruise. The set was declared National Historic Monument in 1930 and it is now open to the public on a regular schedule so it can be visited by all those interested in this key building in the history of the Ampurdán. This post was written by Blanca Pons who has written 13 posts on Costa Brava Blog.